The Boundary Commission report caused outrage in Dublin. Fearing defeat in the Dáil, the president of the Irish Free State, W.T. Cosgrave, arranged to meet in London with prime ministers Stanley Baldwin and Sir James Craig. 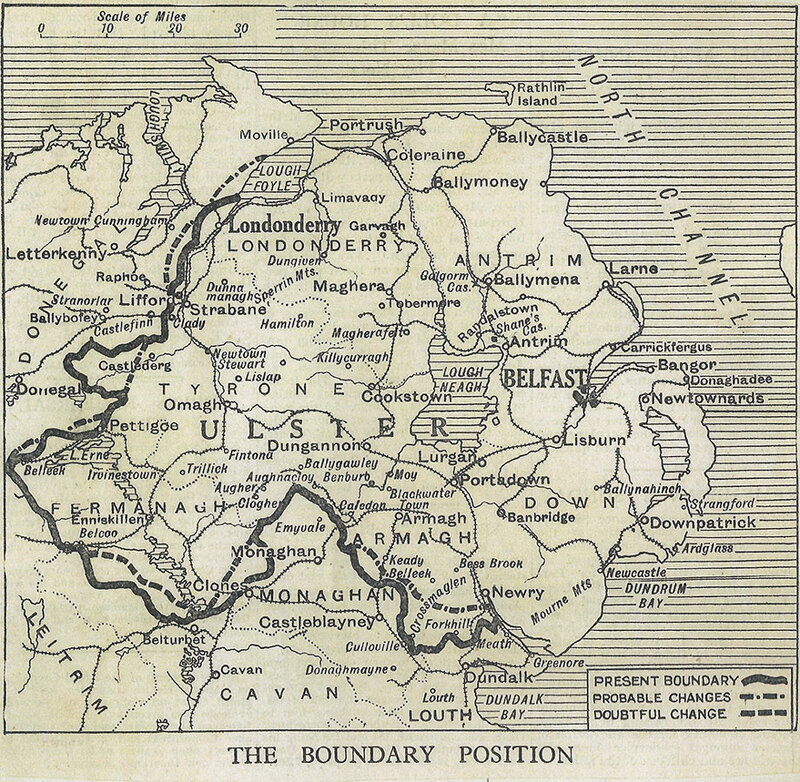 They agreed to suppress the Boundary Commission's report, to revoke the powers of the Boundary Commission, to maintain the existing border of Northern Ireland and transfer the functions of the Council of Ireland to the Belfast and Dublin Parliaments. 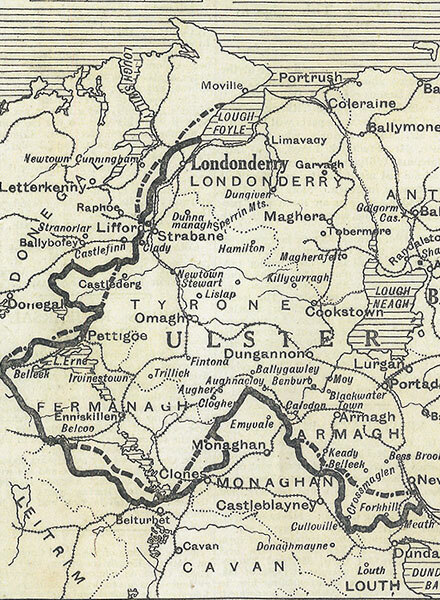 The agreement saw the dismantling of several of the key articles of the Anglo-Irish Treaty of 1921. 7th November Morning Post article with map showing proposed boundary changes.